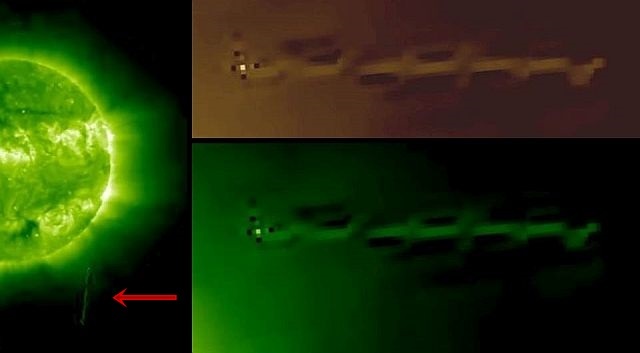 The following footage is a compilation of the mysterious cigar-shaped Light UFOs which appear not only in our atmosphere but also near the Sun. 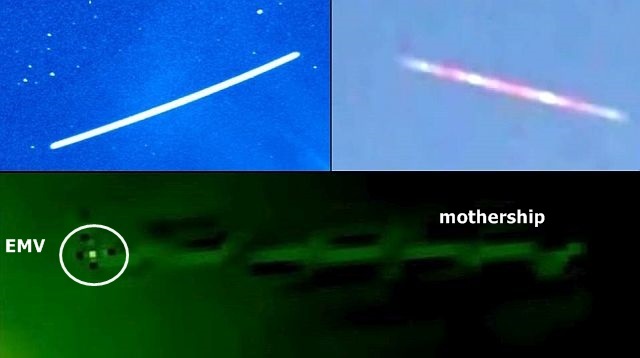 The video continues with several Light UFOs captured from different locations including a 2012 image captured by NASA’s sun observation satellite Stereo Behind and shows besides a mothership an EMV in front of the huge craft. EMV – Electro Magnetic Vehicle. 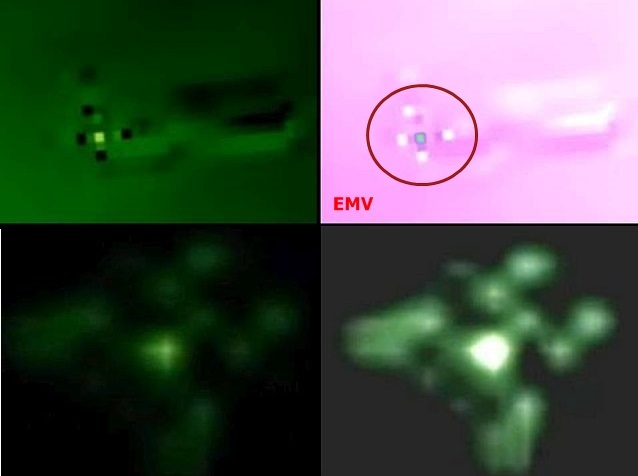 At first glance it looks like these objects are particles of the sun but after analyzing a number of these objects which are characterized by a shiny dot surrounded by four dots these objects are EMVs from an unknown origin. An in-depth analysis on these objects has been carried out by the late BeePeeOilDisaster in 2011, proving that these EMVs are of alien origin. Image bottom right is BeePeeOilDisaster’s edited image of the same EMV. It should be noted that after his publications about these EMVs, BeePeeOilDisaster has been threatened by a certain organization; all his publications on these EMV’s were suddenly blocked as well as the original NASA links showing the clear EMV were removed.